The aim of creating the UMNH was to improve coordination, communication and knowledge/skills exchange between each partnership. 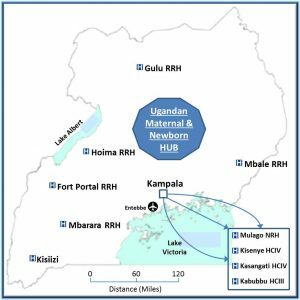 All of the partnerships had a focus on improving maternal and newborn healthcare in order to reduce the high levels of morbidity and mortality in these areas in Uganda, in line with the WHO Millennium Development Goals 4 & 5. A number of different projects (detailed below) have been run through UMNH since it was formed including the Sustainable Volunteering Project (SVP), the Infection Prevention Control Project and the Biomedical Engineering Project. Regular UMNH workshops are held to discuss partnership activities, to exchange knowledge, experiences and skills, to develop joint future activities and to stimulate professional volunteering networks. Since 2014, volunteers from other organisations (such as Voluntary Services Overseas (VSO) and the UK Royal Colleges of Obstetrics, Anaesthetics, Midwifery, Nursing and Paediatrics and Child Health) have also been invited to UMNH workshops to widen networks and facilitate co-working. The LMP received funding of £495,000 from the Tropical Health Education Trust (THET) in 2012 to run a professional volunteering programme. This programme (the SVP) deployed over 60 professional UK long-term volunteers across the UMNH partnership facilities to engage in training and capacity building activities, responding to clearly identified and shared needs within UMNH. Each volunteer came from an obstetric, anaesthetic, paediatric, nursing, midwifery, biomedical engineering or social science background and completed a long-term placement of between 6 and 36 months. The SVP had a strong focus on effective knowledge exchange and implementation, not on service delivery. This emphasised the need for multi-disciplinary and multi-national team-working with the volunteers working alongside their Ugandan counterparts at all time on wards and in theatres and training rooms. 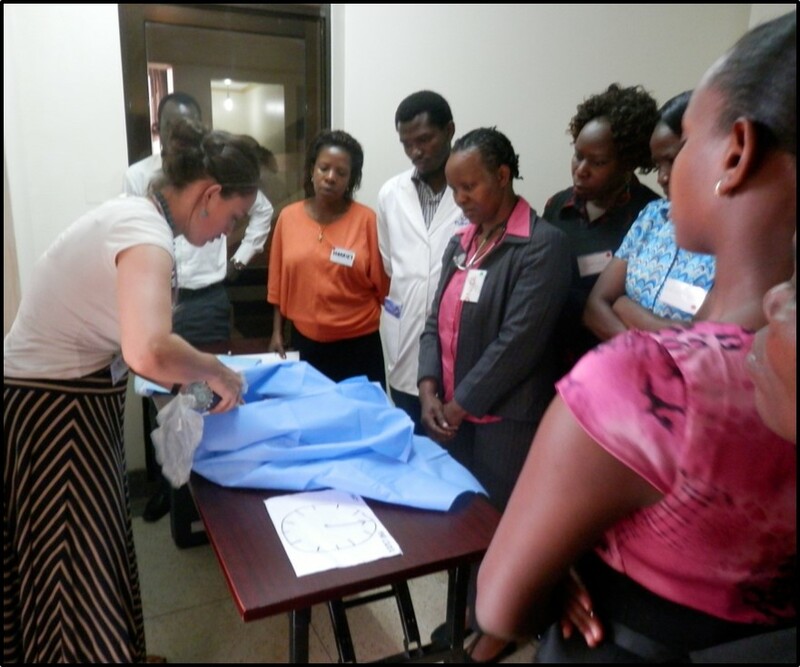 The Emergency Obstetric Training Course was arranged by Dr Maia Walsh (SVP Volunteer), with the support of Dr Helen Allot (Consultant Obstetrician and lead for the Kisiizi Partners Link). The intensive two-day course was designed to take participants through a structured approach to recognising and recording patients’ early warning signs, effective communication, timely decision making, managing complex obstetric and neonatal emergencies and properly stabilising a patient prior to making a referral; these were areas identified as priorities in Uganda. The course was compiled with a knowledge and understanding of working in a challenging and low resourced setting; designed to address the main causes of maternal mortality in resource poor settings in a systematic fashion. The same course had been previously delivered in Kisiizi (three times), Mbarara and Fort Portal. The Kampala Obstetric Training Course took place over two days at Mulago Guesthouse Conference Centre. It consisted of tutorials and interactive small group sessions, which included simulated patient management scenarios and practical skill sessions such as breech delivery. This format provided participants with the opportunity to ‘learn by doing’.